We all know that red lipstick is classic and it’ll never go out of style. There are tons of different red lipsticks in the market. 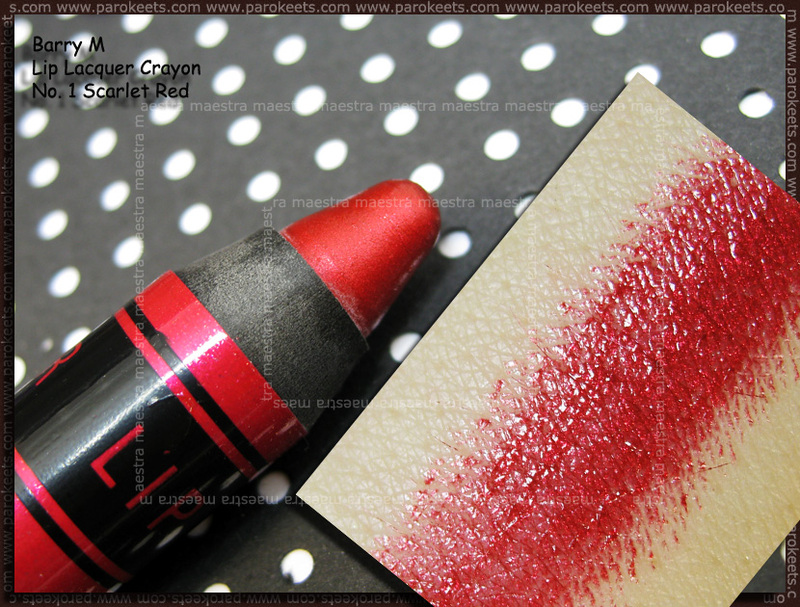 Tons of different shades, finishes, brands … It’s really hard to find a perfect red lipstick for yourself. I don’t know if I already found the perfect red lipstick for me, but one of my favourites is by Barry M. The shade is called Scarlet Red (No.1) and it’s from the Lip Lacquer Crayon line. It’s a very nice red shade. It’s easy to apply. It’s a bit sticky. The good thing is it lasts quite long even on my small lips. One of the reasons I love it that much is the finish. I would descrice it as metallic finish. I was looking for a red lipstick with such a finish for a long time. This is how it looks on me. 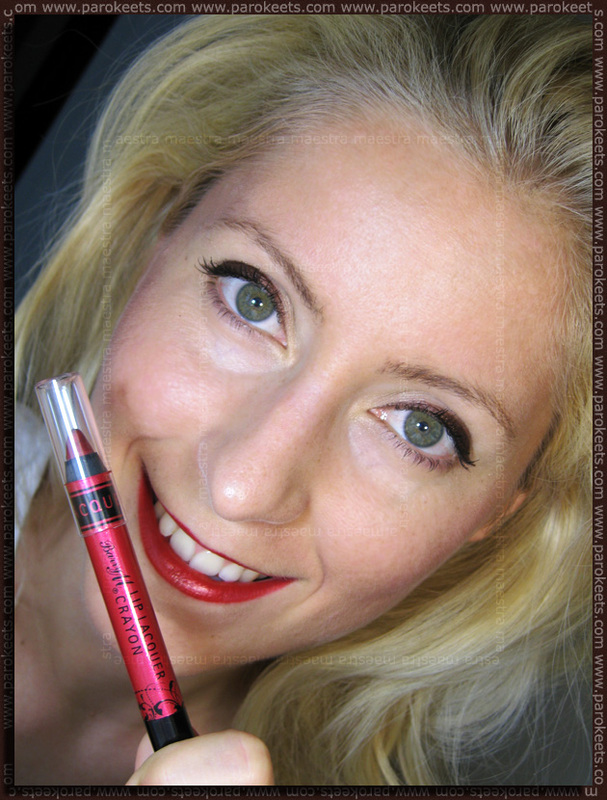 I applied it over a red lip liner by Catrice (Lip Designer in 010 Ruby Red). Brown eyeliner by Manhattan and mascara on my eyes. Sleek blush in Pomegranate on my cheeks. 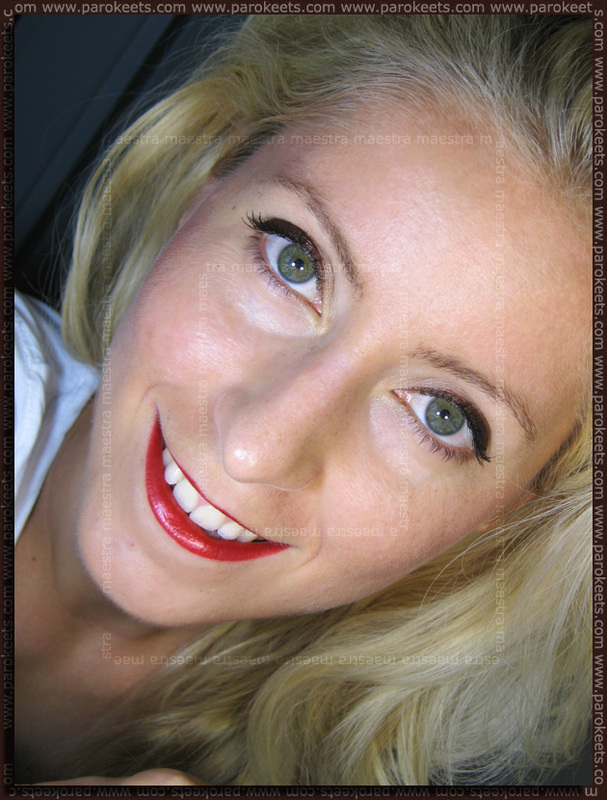 In my next post I’ll show another of my favourite red lipsticks. *The product was sent to me for review purposes..
oooooooooo! Ob naslednjem naročilu!! V bistvu moram že počasi naročilo oddati, se mi je že preveč nabralo. Vsaj upam, da jo še imajo na ličila.si. Katera točno pa od Manhattna? To moram preizkusiti, če je res tako dobro obstojna. Ta odtenek rdeče ti zelo lepo pristoji :thumb: . Moja najljubša rdeča je Canel Coco Rouge Gabrielle. Mislila sem Chanel (ena črka je ‘ušla’). Zelo lepa rdeča! Čeprav so mi rdeče namazane ustnice super všeč, mi nekako ne pašejo.